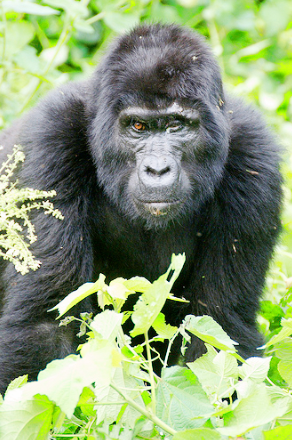 5 day Uganda Mountain Gorilla tracking and Birding in Bwindi Impenetrable Forest in Uganda. Day One: In the early morning depart from Kampala to Bwindi a drive which will take 9 to 10 hours basing on the conditions. Have a lunch in Mbarara and then proceed to Bwindi Forest National Park.There you will check into your accommodation where you will dine and have the overnight. Day Two: after an early breakfast you will proceed to Bwindi headquarters for briefing about the tracking experience by the guides. This experience at times may be very hectic and tiring. The Bwindi forest has various tree species plus mammals in addition to butterflies plus birds that offer wonderful views. Gorilla tracking may take anything from a few hours to the entire day. You will be allowed to spend an hour with the gorillas. After gorilla trekking if time allows you will have a village walk to personally come face to face with the traditional lifestyle of the locals including brewing of local beers and visiting their homesteads. The locals will entertain you with traditional dances and songs. 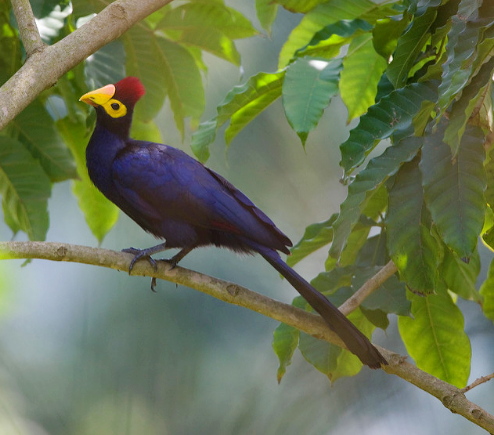 After an Early breakfast you will set out bird watching within Bwindi Impenetrable Forest within the Ruhija Area. This area is a very beautiful place at a higher altitude than Buhoma, offering views into Rwanda and this is a wonderful birding area. You will follow the Mubwindi Swamp Trail which will take you through the elephant habited area. The area has about 20 species of birds including the African Green Broadbill plus the Grauer’s Rush Warbler. In addition you will see the Waller’s Starling, Short Tailed Warbler, Brown Capped Weaver, Rwenzori Turacco, Barred Long Tailed Cuckoo, Purple Breasted Sunbird, Chubb’s Cisticola, Regal Sunbird, Streaky Seed Eater, Kivu Ground Thrush, Oriole Finch, Lagden’s Bush Shrike, Montane Masked Apalis, Handsome Francolin, Rwenzori Nightjar, Red Faced Woodland Warbler, Blue Headed Sunbird and the Olive Green Camaroptera among many others. If time allows you will be able to explore another birding trail. You will enjoy your picnic lunch in this birding paradise and it will all be a very memorable experience. On your drive back to the lodge you will see various other birds; dine and overnight at the lodge. Day Four: after breakfast you will head out for a full day of bird watching within the Buhoma area as well as on the outskirts of the park with views of the Red Tailed Bulbul, Great Blue & Black Billed Turacos, Elliot’s Woodpecker, Dusky & Barred Long-Tailed Cuckoos, Cuckoo-Shrike, Bar-Tailed Trogon, Petit, Black Bee-eater and Grey-Throated Barbet, as a starter. Enjoy your day. It will be most rewarding. Return to the lodging facility and have dinner and rest.